It looks like Elizabeth Warren and her fellow Senate Democrats will try to make confirmation as onerous as possible for President-elect Donald Trump’s pick for Treasury secretary. In one of her signature Twitter rants, Warren recently took Steve Mnuchin to task for his leadership at OneWest Bank, the financial institution he once chaired. 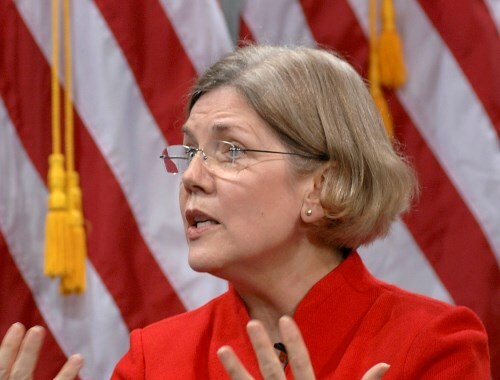 “Steve Mnuchin & OneWest Bank swooped in after the 2008 crash & aggressively – & sometimes illegally – foreclosed on people’s homes,” Warren said in a representative tweet. It seems Democrats will use Mnuchin’s time at OneWest against him in their effort to stall his confirmation, according to a report. Democrats have called Mnuchin the “foreclosure king,” and are asking people who’ve been impacted by OneWest’s policies to come forward. Meanwhile, two housing advocacy groups have accused OneWest of illegally redlining minority neighborhoods and engaging in discriminatory lending practices under Mnuchin’s leadership, HousingWire reported. Mnuchin and his partners formed OneWest from the remnants of failed bank IndyMac in 2009. They sold the bank to CIT Group in 2015 – a move that garnered Trump’s approval. Warren and Senate Democrats, however, have been concentrating not on Mnuchin’s business acumen, but on his companies’ penchant for foreclosure. And Senate Democrats have taken to referring to Mnuchin as the “foreclosure king” on their official website. “As the Chief Executive Officer and owner of OneWest Bank, Mnuchin oversaw what housing advocates called a ‘Foreclosure Machine,’ they said.